We look forward to delving deep into “The Great City” from June 24 -28 and spending this summer with you! Click any of the following titles below to learn more about each specific ministry. If you'd like your children to be involved in either our Sunday School or Baby Nursery, please scroll up and register using the form above. Weekly classes for children of all ages. Register using the form at the bottom of this page. At Calvary-St. George’s Church, we know that spiritual formation begins with our youngest members. 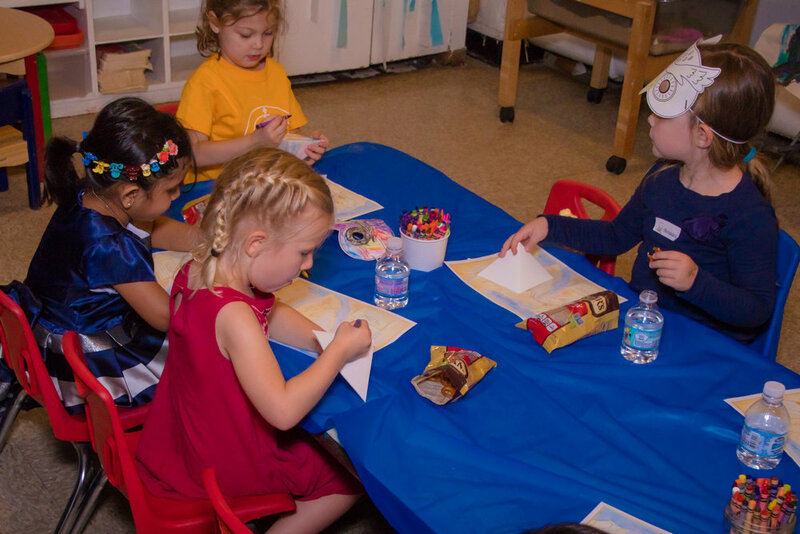 Our programing is designed to connect with children of all ages and developmental abilities with the intention of connecting families to the Christian faith. All programing focuses on 3 essentials of the Christian faith: God is FOR us, FORGIVES us, and is always WITH us. Family Programing starts with infants and goes through young adulthood. Our talented team of volunteers warmly welcome our youngest members and communicate each Sunday that they are loved and forgiven through each of our offerings. Our team is enthusiastic, patient, kind, and have experience working with children. Calvary-St.George’s offers weekly Sunday School classes and childcare for children of all ages at St. George’s 10 AM and Calvary 11 AM services. PRE-K - KINDER: " Under His Wings" approaches spiritual formation through interactive storytelling and play. 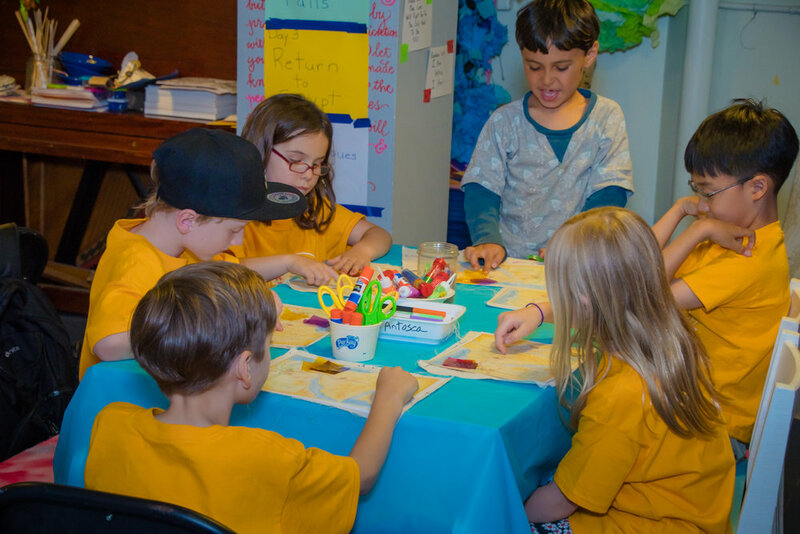 Our primary focus is to create positive experiences as our youngest learners begin to engage in God's great story. Our objective is for our little ones to know that God created them, loves them, and hears their prayers. FIRST-THIRD: "The Fearless" begin to memorize verses, navigate through their Bible and discover what it means to be a Christian. The themes we explore are FAITH, GRACE, & COMPASSION. Our objective is for children to know they have a God that understands and forgives them, therefore they have NOTHING to FEAR. FOURTH GRADE: "The Rejoicers" delve deeper into the Bible and the overarching narrative of God's grace for sinners. Our hope for each participant is to see themselves as RECEIVERS of God's active grace. PLEASE NOTE: During Sunday School, children will be working with paints, markers, crayons and glue. Please dress your children appropriately (smocks will be available). In addition we are a NUT FREE zone, if you are interested in sending a snack with your child to Sunday School, please keep this in mind. For more information contact the parish office at 646 723 4178, or email calstgkids@calstg.org. INFANCY-TODDLERHOOD: Nursery Care is provided at St. George’s 10 AM & Calvary 11 AM. The nursery is located in the Jack & Jill School at St. George’s Church. During the 11 AM service INFANT nursery care is located in the lobby of Calvary. For children 15 months and older, childcare is provided in the playroom of Calvary (Located in the lower lobby of Calvary). This Spring, Sunday School will engage with a brand new curriculum: The Tower of Babel. Together we’ll explore this Biblical epic, as we learn that despite all our attempts to reach God, he’s already come down and met us right where we are. Thank you for registering you child for Sunday School! Classes begin on Kickoff Sunday, September 16th. Someone from our ministry team will be in touch with you shortly.